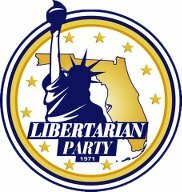 2014 Florida Election : I Joined Libertarian Party – Where Did My Brain Go? Dad wanted me to join the Army. He described the joys of having your day planned, and never worrying about meals, clothing or accommodations. However, Dad volunteered for “dangerous duty.” He was a tail gunner on a B-17 with the 390th Bombardment Group. Dad described frigid 12 hour missions from England to Poland. He listened to the crew on a radio, while he kneeled and waited for targets to approach the rear of the Mary Lou. Tail gunners were the first target of enemy aircraft. Dad was issued a flak jacket to protect him, but he told me that he usually removed it, because the flak jacket was heavy, and hindered his movements. Dad’s efforts helped rescue Jews from Nazis. I was not motivated to join the Army, because I did not the understand the purpose of the Vietnam War. Dad and I took a bus to Selective Service in Coney Island, on my 18th birthday. A recruiter in a small office, handed me registration forms. Dad brought his favorite war photo. He discussed this photo with the two recruiters, while I filled out forms. I returned the forms, received long-forgotten instructions, and was ready to leave. Dad asked, “Are you sure you don’t want to enlist?” I shook my head. Dad sighed. “I was hoping you would change your mind,” he said. Our next stop was the Post Office. I registered to vote and checked a box on the form, to vote as a Democrat in primary elections. The Democrats were an obvious choice, because George McGovern was their Presidential candidate. McGovern wanted to end the Vietnam war. Dad liked McGovern because he was a fellow recipient of the Distinguished Flying Cross, and flew 35 missions during World War II. Sadly, McGovern only won electoral votes from Massachusetts and D.C. Nevertheless, I was proud to be aligned with Democrats. President Nixon was impeached. Vice President Agnew resigned after he was caught taking bribes. It became harder to trust Republicans after Agnew was “punished” with a $10,000 fine and probation. I voted for Democrats in every election from 1972 to 2013. I was proud that my 2008 vote helped defeat John McCain and Sarah Palin. I could not understand why Palin was chosen. Palin resigned as Governor of Alaska after lawsuits for ethics violations. Unlike Spiro Agnew, Palin was never charged with a crime. I voted for Obama in 2012, because Mitt Romney scared me. I do not understand why Romney was selected. I did not want to vote for Obama, because of his 20 year relationship with Reverend Jeremiah Wright. Obama confirmed his anti–semitism in 2011, when he asked Israel to revert to its 1967 borders. I never wanted to vote for Joseph Biden. A College English teacher introduced me to Biden in 1972. She delivered a lecture about plagiary, after a student was removed from our class for copying another student’s work. My teacher used Joseph Biden as an example of a student plagiarer, who was not punished. Biden lied about attending law school on a scholarship, and receiving 3 degrees. If Biden lied on a job application, he probably would have failed the background check, or lost his job after his lie was discovered. I did not understand the 2013 sequester. Congress should never close parks to finance futile wars. Congress avoided the next sequester. Hal Rogers (R–KY) is Chairman of the House Appropriations Committee. He has served in Congress since 1981. Bing Predicts gives him a 99% chance of being re–elected to his 18th term. In addition, the House included an amendment to provide authority to train and equip Syrian rebels to fight ISIL. This amendment is of great importance to our national security, and attaching it to this Continuing Resolution will allow its enactment within a swift timeframe. How can Congress ignore the Federal budget and spending cuts to reduce our National debt? Syria is mired in a civil war since 2011. United States has been bombing Syria since September 23. What are we doing there? Hal Rogers and his colleagues believe that whatever is happening in Syria is more important than balancing the Federal budget, appropriating funds to Americans, or lowering taxes. I don’t think sequestration and increased efforts in Syria, in Iraq are compatible. Rogers has represented Kentucky’s 5th Congressional District for over 30 years. His district has 3 cities with impoverished residents. 25% of Pikeville residents, 28% of Middlesboro and 22% of Somerset residents are living below the poverty line. Their per capita income was about $21,000 in 2012. Only 3 states have a lower per capital income than Kentucky. Citizens for Responsibility and Ethics in Washington considers Hal Rogers one of the most corrupt members of Congress. In my opinion, every politician who wants to privatize Social Security is corrupt. Rogers wants to privatize Social Security. He also supports reducing the separation of Church and State. Rogers believes that longer jail sentences will reduce crime. Kentucky spent 2.9% of its 2012 budget on corrections, but a deficit has forced them to release inmates to save money. Kentucky Representative Greg Stumbo, who works for Morgan & Morgan, has an interesting plan to reduce Kentucky’s prison costs. He wants to convert a nursing home into a prison for senior citizen felons, and force them to live there until their probation expires. This plan will allow inmates / residents to collect Medicare. About 4.4 million people live in Kentucky. Kentucky arrested at least 658,000 of them for marijuana in 2012. 53% of violent crimes were unsolved in 2012. Kentucky should stop arresting marijuana smokers, release geezers from jail, and start solving crimes. I am following the Kentucky Senate campaigns, because I moved from Lexington, Kentucky to Tampa last year. Kentucky Democrats nominated Alison Lundergran Grimes to face Senator Mitch McConnell. I think Senator McConnell extended the 2013 sequester for publicity. I would like to see him replaced in 2015. Unfortunately, Democratic candidates are hampered by Obama. Alison Grimes would not divulge if she voted for Obama. Would you vote for a candidate who refused to answer a simple question? The final Bluegrass election poll showed McConnell with 48%, Grimes 43%, and Libertarian David Patterson with 3% of votes. 6% were undecided. 27% of Kentucky’s registered voters viewed Obama favorably in this poll. Jeff Brandes wants to help Floridians. Brandes tried to remove red light cameras. Unlike Governor Scott, Brandes opposes granting benefits to illegal aliens. Brandes supports privacy. He voted against random drug tests for State employees. He co–sponsored a bill to legalize “Charlotte’s Web,” low THC marijuana for sick children. Brandes, Chairman of the Committee on Transportation, introduced a bill to raise the speed limit on certain highways, to reduce speeding tickets. Higher speeds cause more accidents, but I drive the speed limit — most vehicles pass me. A higher speed limit would reduce speeding tickets. I disagree with his votes to limit abortions, but nobody is perfect. Brandes seems like a nice fellow. But he is engaging in a negative campaign against Judithanne McLauchlan, his Democratic opponent. One of Jeff Brandes’s advertisements, a gift from Republican Party of Florida, claims that McLauchlan wants Floridians to pay a State income tax. This advertisement was rated mostly false by PolitiFact Florida. Jeff Brandes has a great voting record. Why does Brandes need a misleading advertisement? Democrats also supply their candidates with negative advertisements. Charlie Crist is the Florida Democratic Party’s candidate for Governor. I was not familiar with Crist before this election. I lived in Lexington Kentucky, while Crist was Governor of Florida. I learned that Crist worked for Morgan & Morgan, after I volunteered to help United for Care. As a volunteer, I asked voters to register and vote Yes on Amendment 2, to legalize medical marijuana in Florida. Florida should have been the first state to legalize medical marijuana, because Florida has the oldest population. Israel serves marijuana in nursing homes. Florida residents deserve to be treated as well as Israelis. A person who is arrested for marijuana possession in Florida, can go to jail for a year, and lose their driver’s license for 2 years. Additionally, marijuana users purchase an unregulated product from criminals. I hope Florida joins the 23 states which offer an alternative, with or without a prescription. Their users are “patients,” who purchase a regulated product from a real business. Marijuana should have been legalized, after I attended the Woodstock Music and Arts Festival in 1969. A half million people sat in a muddy field, tranquilized by a haze of marijuana smoke, without fights and robberies. I learned why marijuana is illegal while I worked for attorney Gatewood Gailbraith in 2006. Gatewood enjoyed discussing marijuana laws. He told me that he never lost a marijuana possession case. In his autobiography, Gatewood explains why interests and industries are opposed to the legalization of marijuana. After Gatewood’s death, the Gatewood Galbraith Memorial Medical Marijuana Act was introduced, to bring medical marijuana to Kentucky. It stalled in Judiciary. Support for legalized medical marijuana in Florida is falling. 88% of Floridians supported legalization in July. Only 62% supported legalization last week. Crist is an awesome debater. Rick Scott is an awful public speaker. Why don’t I see Charlie Crist on TV, exhorting voters to support him and Amendment 2? Instead, the Democratic Party of Florida created an misleading advertisement about Rick Scott invoking the Fifth Amendment 75 times during a trial. Scott was the CEO of Columbia/HCA. Under Scott’s leadership, this company defrauded medicare to represent their interests. Scott claimed his fraud helped reduce inflation. I do not understand why anyone would vote for him. Bing Predicts gives Charlie Crist a 55% chance of becoming the next Governor of Florida. I want to vote for Jeff Brandes because he wants to get rid of red light cameras. However, I do not want to vote for Charlie Crist, Rick Scott or Pam Bondi or George Sheldon. I found worthy alternative candidates, when I attended LPF 2014 with United for Care. Libertarian candidates do not run negative campaigns. Bill Wohlsifer is a lawyer, running for Florida Attorney General. He is really smart. I was supposed to be a child prodigy, but I lack half of Wohlsifer’s intelligence. Watch Bill Wohlsifer win the Florida Attorney General debate. Pam Bondi kept repeating that “seven Supreme Court Justices” are opposed to legalizing medical marijuana in Florida. Of course, they are against legalizing medical marijuana! Every lawyer except Bill Wohlsifer and John Morgan is against legalization, because they will lose business. Courts will receive less funding, if there are fewer arrests. Bill Wohlsifer wants to reduce Florida convicts by releasing prisoners who were arrested for drugs. Unlike Kentucky, Wohlsifer would not release violent criminals. He also wants to restore rights to felons, after they have been released from prison. Bill Wohlsifer should be the next Attorney General of Florida. I could not watch Adrian Wyllie debate Charlie Crist and Rick Scott, because CNN excluded him from their televised debate. I thought we had elections to offer voters more choices, but CNN requires televised candidates to have 15% support in polls. Wyllie was supported by 7% of potential voters in a recent poll. Marijuana should be legalized. The war on drugs has been an abject failure. People are still doing drugs despite the laws. As a country, we’re spending $1 trillion each year to fight drugs. 60% of our prisons are filled with non-violent drug offenders. We’ve been battling this war for more than 40 years. Lives are still being destroyed. I like Wyllie’s seven-point economic plan to restore and grow our economy. Scott wants to increase Florida’s budget. Wyllie wants to reduce spending by 30%. Wyllie will reduce business regulations by enacting the Florida Intrastate Commerce Act. Wyllie would make products manuafactured in Florida, free from Federal regulations. This would attract businesses to Florida. Adrian Wyllie’s pet peeve is the REAL ID Act. The REAL ID Act uses your driver’s license information for a national database. Your photo is used by photo recognition software. Wyllie surrendered his driver’s license in 2011. Visit Adrian Wyllie’s Real ID Legal Battle and Floridians Against REAL ID to learn more. Vote for Adrian Wyllie for Governor. Let’s see a record turnout tomorrow! Please listen to John Morgan’s reminder, if you can handle a few expletives. I hope we meet at the polls tomorrow. Thank you for info. I never thought of international Libertarians before.